This weekend marks the one year anniversary of worship in our own church building. 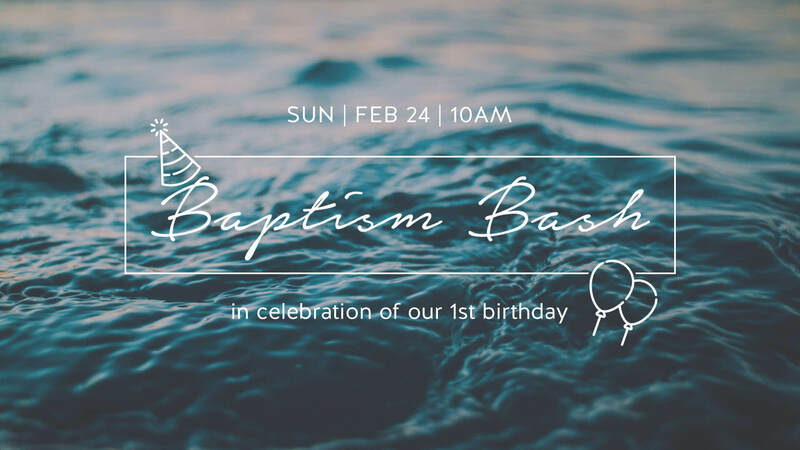 We can’t think of a better way to celebrate than with a Baptism Bash! There are twelve amazing people being baptized this Sunday, and we hope you’ll join us to celebrate what God has done and will do in their lives. We’ll also take a look at some of the incredible things God has done through the people of All Nations Church this past year. We have SO much to be thankful for. Oh, yeah…there will be cake too!